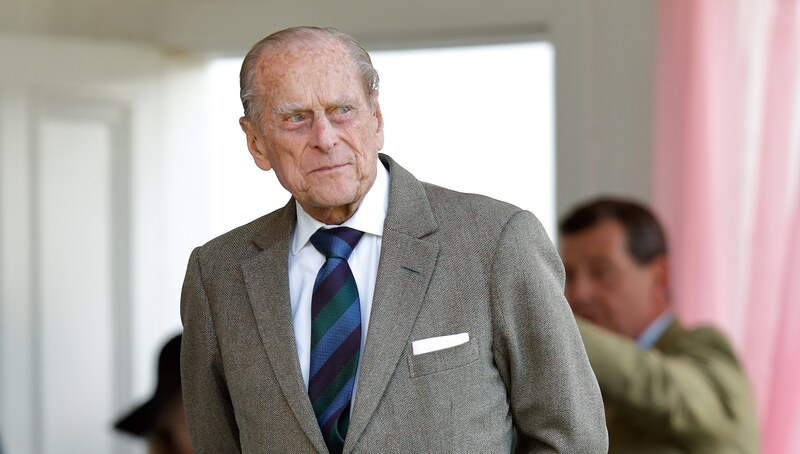 Prince Philip’s new royal portrait is out, and it is, to summarize succinctly, ornate. So much thought, care and detail went into this portrait, which celebrates the still superfly 96-year-old royal along with his background and his personal and royal histories, respectively. It’s really cool and kind of genius how many hidden messages there are in this portrait, and it’s kind of fun to test your royal knowledge by seeing if you can spot any. But for those of us who aren’t quite at historical scholar-level interest in the royal family, People magazine has the breakdown of everything there is to unpack in the new portrait. Buckle up, because there’s a ton here. The new portrait was reportedly created for the Museum of National History at Frederiksborg Castle in Denmark. In it, Philip wears the sash of the Order of the Elephant, Denmark’s highest-ranking honor. He’s posing in Windsor Castle, where he and Queen Elizabeth II spend their weekends. More specifically, he’s standing in the Grand Corridor at the end of which is the Tapestry Room where both Philip’s mother, Princess Alice, and grandmother, Princess Victoria, were born. Both women are in the paintings to Philip’s right. They are also featured in white marble busts that line the side of the corridor to Philip’s right. The portrait really does celebrate his family and their heritage. On Philip’s left is another painting celebrating the royal family. It depicts Queen Victoria sitting with her family in Windsor Castle’s Green Drawing Room according to People. The painting within the portrait is real — it was painted by Laurits Regner Tuxen, and Queen Victoria liked it so much she asked to have it. Of course it was given to her, because who says no to the queen of England?